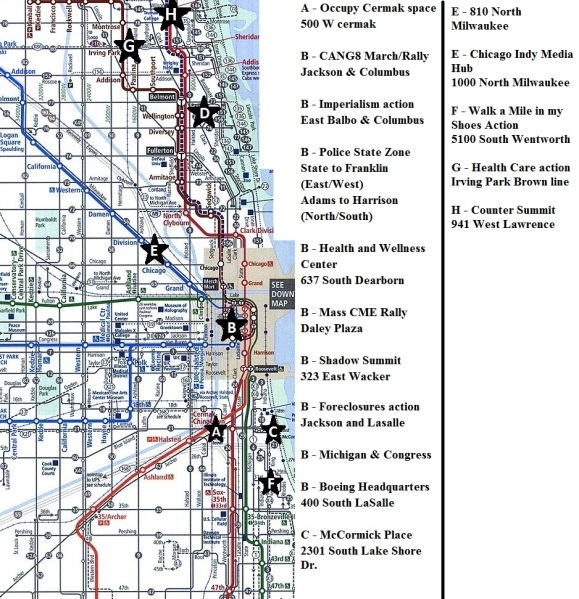 To better empower travelers and Chicagoans new to Occupy Chicago, we are releasing the Occupy Chicago NATO/G8 Guide. -Provides protestors details on their legal rights, a bank of information on all the actions of Occupy Chicago's Ten Days of Action, points of contact useful to protestors, and more. -Presents information to make it easier for new-comers to beginning working with Occupy Chicago. -Explains often esoteric details on Occupy Chicago infrastructure, gives information on how to get involved in Occupy Chicago, and explains the History of Occupy Chicago and The Chicago Principles. If you wish to print and distribute this information, please print it out in booklet format, which you can do by printing from Adobe Reader, double sided page. Under the “page scaling option” select “Booklet Printing”. This will print this information out in form that looks like a small book. The guide is attached to this post. If Gandhi's teaching is up to something, there is a need to stop paying taxes. I would also encourage citizens of ch1na and japan to legally resist tax payment.